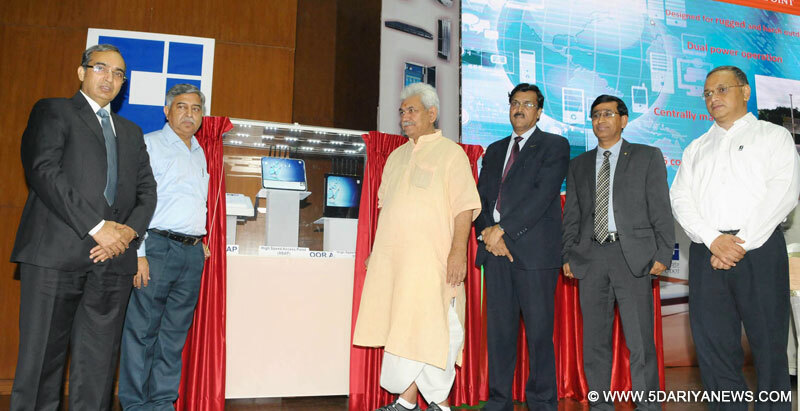 The Minister of State for Communications (Independent Charge) and Railways, Shri Manoj Sinha inaugurating the ‘High Speed Access Point’ a product of C-DOT on its foundation day, in New Delhi on August 30, 2016. The Secretary (Telecom), Shri J.S. Deepak is also seen. If India lags behind in adopting emerging technologies over the next 15 to 20 years, its very existence will be at stake, Communications Minister Manoj Sinha said on Tuesday.Sinha also urged the Centre for Development of Telematics (C-DOT) to develop world class products for achieving Prime Minister Narendra Modi's vision of transforming India through a digital revolution.He was delivering the keynote address at a function here to mark the C-DOT Foundation Day. Sinha said there is need for innovation as India cannot afford to emulate the developed economies due to limited resources.